Theo, the son of two lawyers, is well on his way into the legal system himself. He much prefers studying law in his “office” at his parents’ firm or hanging out at the court house than anything else. 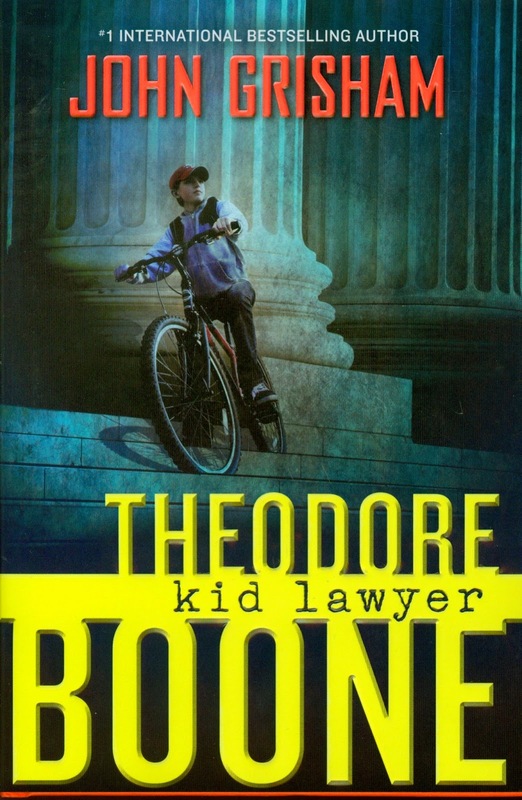 But now he is stuck at school while the biggest murder trial the town has ever seen is taking place at the court house. Theo thinks the suspect is guilty, but knows the prosecution has little to no evidence. What if Theo was the one to find key evidence? Something that would change the outcome of the whole trial? While it was a hugely anticlimactic book, I actually still liked the story. Grisham is a legal genius after all, and does a fantastic job of describing and explaining every aspect of an exciting murder trial to his young audience. Theo is rather endearing and I enjoy his character immensely, as well as those around him. The story doesn’t have a climax, and it sort of just ends…(perhaps it continues somewhat in the next books?) but it’s a great book for kids, especially those ones that are watching “Perry Mason” reruns in their spare time (Theo’s favorite show). Overall, I would recommend it. And this here blog is a mish-mash of awesome resources for librar-ians, educators, and parents. Oh, and book lovers, too! Check out my storytime ideas, book reviews, book lists, library-isms, and more as I hoot about all things literary! My New Friend is So Fun! Share book reviews and ratings with Emily, and even join a book club on Goodreads.